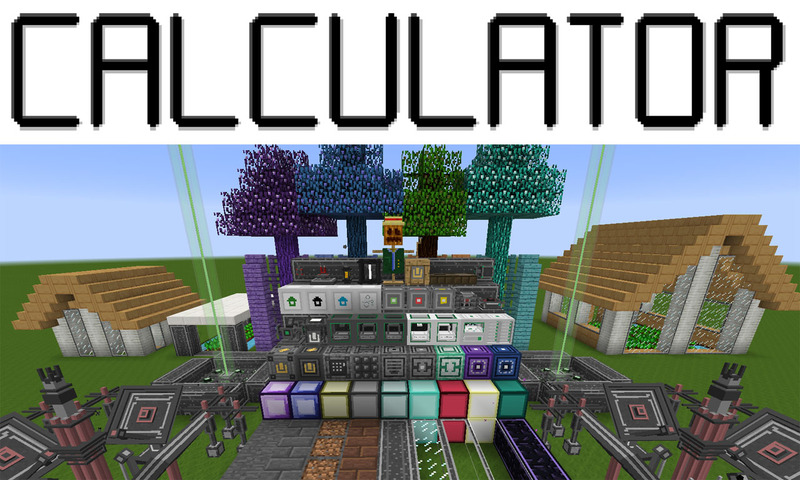 Calculator Mod 1.12.2/1.11.2 introduces a brand new crafting mechanism adding Hand-Held Calculators which can combine items together, manage your health and hunger, store items, store energy, teleport, craft and change the world around you. They open up the possibility to create Redstone-Flux Networks, Multi-Block Redstone-Flux Generators, Crop Growth/Acceleration Tools, Machines, Unbreakable Tools, Food, Growable Fuels and even a Grenade. Whoever said Calculators were boring?! Awesome Calculators, crazy items, and mind-blowing machines. Change the way you craft, change the way you play, change the way you think. Make sure you have already installed Minecraft Forge and Sonar Core.